Being injured at your workplace can be devastating. You can be severely injured, and that injury could even affect your ability to perform your job in the future. There are options available to an injured employee to be compensated for their injury. It is likely that you will file a workers’ compensation claim in an attempt to procure damages for lost wages, medical bills, and other expenses relating to the injury. However, while an injury can be the fault of an employer, there is the chance that there are third parties who are also liable or at fault. An employee is not allowed to sue their employer in a tort action. Workers’ compensation is the alternative available to employees, since direct lawsuits are not available. There are certain exceptions to the ban of suing an employer, but usually the employee is not able to. While an employee is unable to sue their employer, an employee is able to sue third parties that might be liable for the injury. An employee is able to bring a workers’ compensation claim and third-party liability claim, but there are limitations. Florida law allows for the filing of a third liability suit by an employee, but the employer is able to place a lien on that judgment. This is an attempt to prevent an employee/victim from being compensated twice for the same injury. The employer is essentially seeking reimbursement. If the court determines that the third party is liable for damages, the employer can receive a pro rata share of the judgment for the money the employer already paid to the employee through the workers’ compensation claim. Some individuals think it is easier to file a workers’ compensation claim and be done. An employee can file the workers’ compensation claim and receive a settlement, or payment, for their injuries. However, there are limitations on the damages available in the workers’ compensation claim. 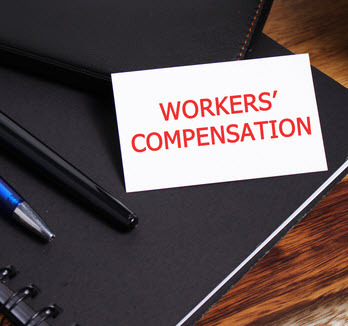 One of the main components of a workers’ compensation claim is for lost wages. The law only allows for 2/3 of your weekly wage. A third-party liability claim does not limit your lost wages. You are able to seek your full compensation and more. If you have been injured at your workplace and are considering a third-party liability claim, the experienced Florida attorneys at the Leifer Law Firm are here to help. Our attorneys have exceptional experience in the complex cases of and third-party liability. We will explain all of your options to you to ensure that you receive the maximum compensation for your injury. Contact us today for a free consultation.